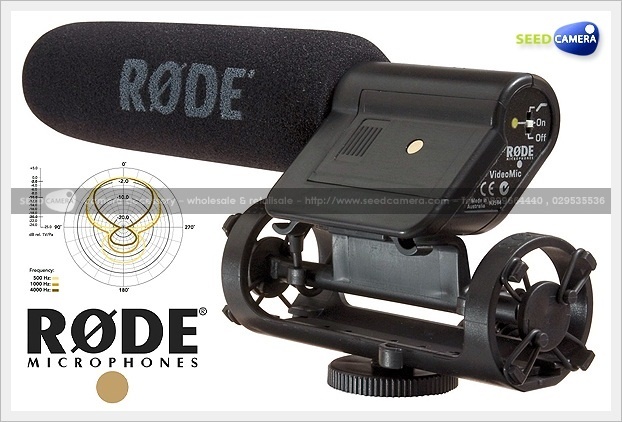 - The integrated shock mounting system isolates the VideoMic capsule and electronics from its all-metal shoe mount, providing isolation from external physical factors that may cause unwanted rumble and vibrations in the microphone. - Its super cardioid polar pattern is highly directional, focusing on the subject in front of the camera, and minimising any surrounding sounds. - In addition to the microphone's native 40Hz-20kHz response a selectable high-pass filter at 80Hz is available, which will prevent low end noise such as air conditioners and traffic from being recorded. - A -10dB and -20dB level attenuation (or PAD), selectable from inside the battery compartment, allows recording of loud sound sources, such as live music or motorsport.